Japan's Naomi Osaka answers questions at a press conference after defeating Petra Kvitova of the Czech Republic in the women's singles final at the Australian Open. 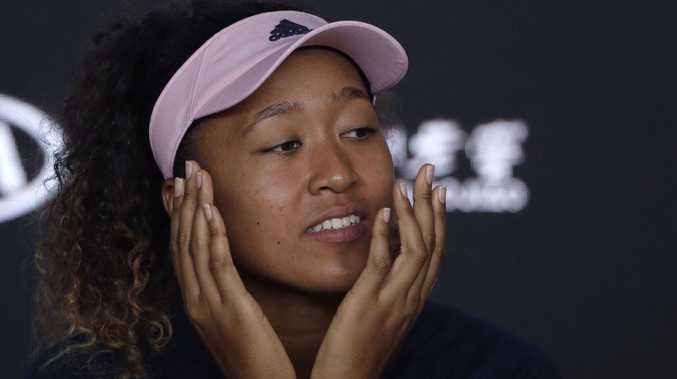 Naomi Osaka had to face some awkward lines of questioning in her first press conference as Australian Open champion. Osaka, who became the first Japanese player to be World No.1 after the three-set win over Petra Kvitova, was asked by one reporter "do you feel like a grown-up?" After an on-court interview by Channel 9 reporter Tony Jones blasted as "cringeworthy" on social media, Osaka faced a more detailed, but possibly more bizarre, grilling in the post-match media conference. 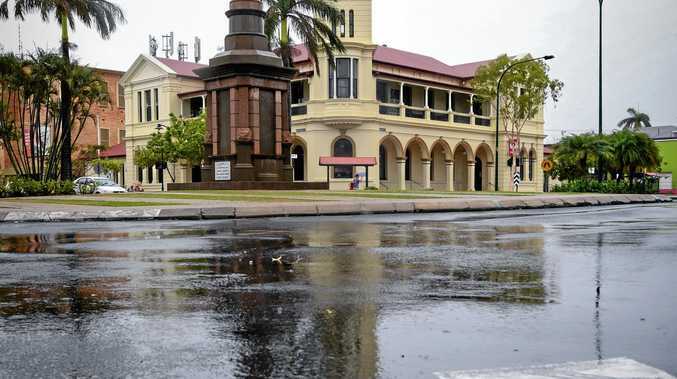 The long-winded question began with the reporter saying: "You're 21. Most 21-year-olds around this time, a lot of them are going back to their second semester of college. They can't rent a car without having to pay a surcharge. The frontal cortex of your brain hasn't even grown yet." Osaka appeared bemused: "You're using a lot of big words here." The reporter fought on: "You've done something that I think a lot of people would think is pretty grown-up because they're back-to-back. Usually that's very difficult to pull off. Do you feel like a grown-up?" Osaka graciously replied: "Sometimes I do. But I'm not sure if it's feeling grown up or being able to dissociate my feelings. I don't know if that makes sense? Like, you know how some people get worked up about things? That's a very human thing to do. "Sometimes, I don't know, I feel like I don't want to waste my energy doing stuff like that. I think about this on the court, too. Like in the third set of my match today, I literally just tried to turn off all my feelings. So that's why I wasn't yelling as much in the third set. I'm not sure if that makes me grown up? I don't think so." Osaka admitted she was in tears after blowing three championship points during a tense second set. After winning the first set, Osaka looked home and hosed up 5-3 and 40-0 on Kvitova's serve, but was unable to hold on, allowing Kvitova to force the match into a decisive third set. Osaka admitted she was emotional when she left the court after the second set for a toilet break. "Did you not see my tears," she replied to a reporter's question, smiling. "You wanted to give me a little, like, hope?" The break helped Osaka take control of her emotions and refocus, eventually ending the match 7-6 (7-2) 5-7 6-4. "(In the third set) I just felt kind of hollow, like I was a robot, sort of," she said. "I was just executing my orders. I just did what I've been practising my whole life in a way. "I didn't waste any energy reacting too much. "But then, when it got towards the end, then I started realising how big the situation was, so then I think I started yelling 'come on' again." 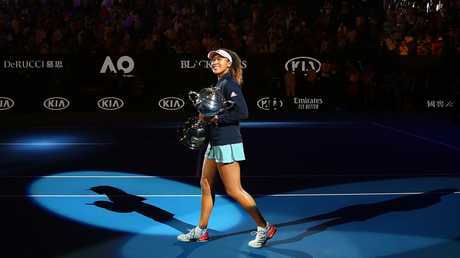 Naomi Osaka with the Australian Open trophy. It might have been a tough slog, but don't call it drama. One reporter's attempt to liken Osaka's championship point slip-ups to dealing with Serena Williams' massive dummy spit during Osaka's US Open win was met with disapproval from the 21-year-old. REPORTER: "Apparently you're unable to win a slam without some drama. There was a drama with Serena and drama today with you having all the match points. How do you react to all this? Are you surprised?" OSAKA: "I don't think it's drama. I had the match points on her serve, so she's supposed to hold her serve. She's one of the best players in the world, so I didn't think it was drama. Like, we just played a third set. If you consider that drama, then..."
After the match, Osaka said she'd looked at notes before the presentation, but forgot most of them. "I forgot to smile," she laughed. "I was told to smile and I didn't. I was panicking. Yeah, I'm going to be thinking about that for the rest of today." She'll also be thinking about the prestige that comes with being the No.1 player in women's tennis.